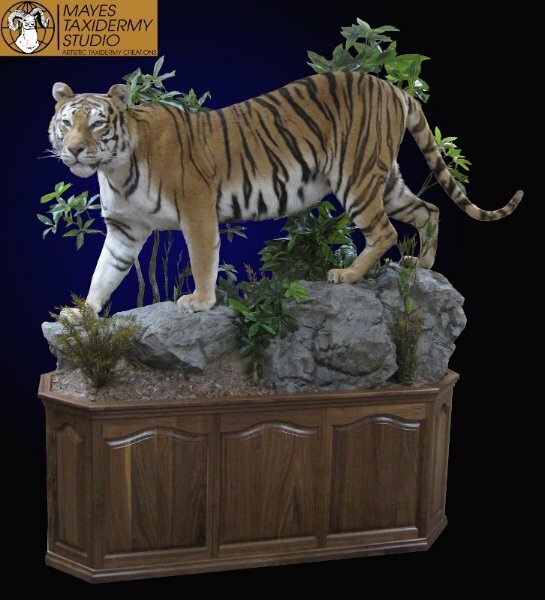 This custom, museum quality, Bengal Tiger mount is currently being offered for sale by Mayes Taxidermy Studio. This is a very rare opportunity! 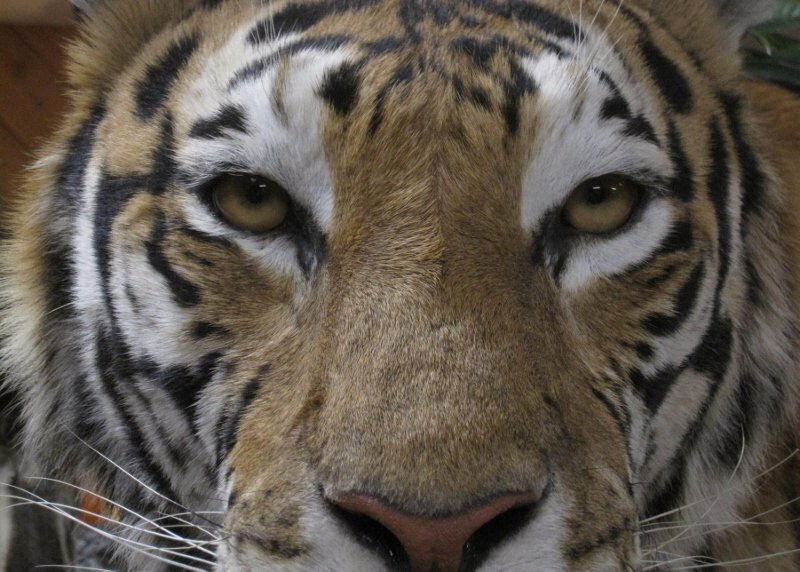 The cat recently died at a zoo in Wisconsin. It was approximately 25 years old. Tigers are such a rare opportunity, I spared nothing to produce what I felt would be the most stunning, most realistic, most appealing mount and base possible! The look and attitude of the cat exudes confidence and stealth. The piercing expression of the eyes appear to look right through you when standing in front of it. The craftsmanship in the custom woodwork is second to none. 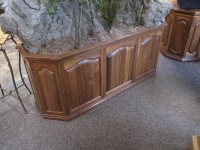 The raised panel base is constructed of black walnut. Two nearly unnoticeable doors on the back of the base open by pushing on the upper portion to activate a spring loaded hinge. 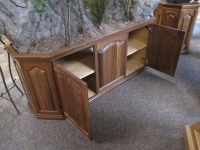 The inside has finished oak shelving for inconspicuous storage. Recessed casters allow it to be moved easily. 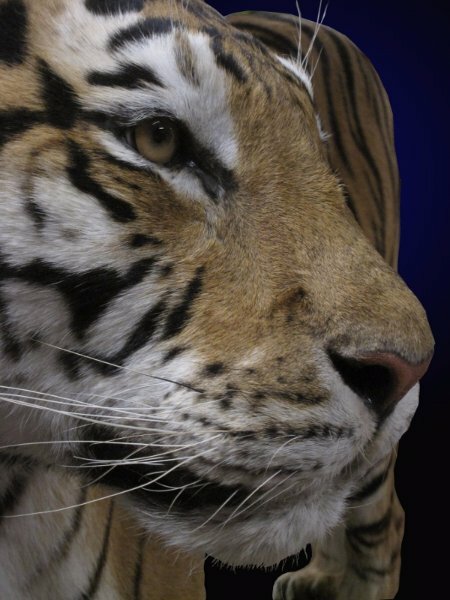 I have personally been doing taxidermy for nearly 40 years… 32 years full time. Our studio regularly does a vast array of species from around the globe. This is the FIRST OPPORTUNITY I have EVER had to work on a tiger MUCH less purchase one and offer it for sale! The price for this mount as shown is $39,000. This price includes delivery anywhere in the state of Wisconsin. IMPORTANT NOTE: Due to regulations of the U.S. 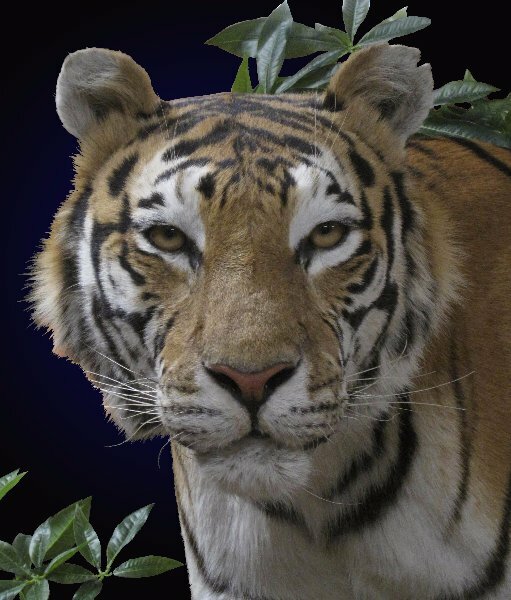 Fish & Wildlife service, this tiger mount may only be bought or sold to a resident of the state of Wisconsin. Proof of residency must be presented at time of purchase.